A good quality pen is essential for beautiful handwriting, but unless you have a good quality ink to go along with it, you might not get optimal results. The best inks can be quite pricey, but are worth the price. Some experts recommend using the same brand of ink as the pen you’re using, but this is not necessary, and converter ink cartridges can be filled with different inks that work just as well, even if they’re not the same brand. This is one of the best inks available on the market. Although a little pricey, it is still a wonderful option because of its ability to add a smoothness to any handwriting. It is also the only ink available in such a wide range of colors – everything from black and deep blue all the way up to more exotic colors like teal, orange and deep pink. Sheaffer Skrip Bottled Ink, 50 ml. One of the cheaper inks available on this list, despite belonging to the world famous Sheaffer brand. Although meant to be used with sheaffer fountain pen cartridges, it can be used with other pens. The blue of this is much darker than the blue available for other inks like Pelikan or Parker Quink, and it writes as smoothly. The bottle shape prevents spillage and is easy to use to refill pens. Montblanc pens are extremely pricey and high qualiuty, so it comes as no surprise that the Montblanc inks are on the higher side as well. That being said, the ink is a very high quality type and writes well, quite beautifully. 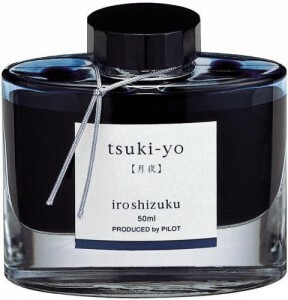 In addition, the ink bottle’s structure has an extra well on the side which makes it easier to use when filling up ink. This is another ink that is on the cheaper side but also provides great quality. It can be used with most pens and in this case it has a bright blue color. If you’re looking for a good everyday ink to use with your pen then this would be a good choice. This high quality ink can be used in most kinds of pens. It does not ‘feather’ on low quality paper, but it can be a little too strong and bleed through thin paper. On the other hand, it is on the list because of its smooth quality, and its lubricating ability, which means it not only flows through pens but also keeps the pen ‘healthier’ and doesn’t get stuck or dry while in the pen. Best for use with Parker pens only. This ink is beautiful and dries quickly. The blue in the ink dries to an actual deep blue color, instead of a blackish hue. It also works with almost any of the pens you should care to use. The price is also reasonable, and quality wise it is much better than other inks available at the same price.